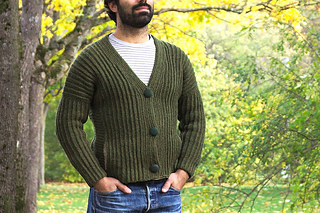 Clifton takes the classic “grandpa” cardigan and gives it the contemporary crochet treatment. Unfussy yet full of interesting design details, this is the cool weather staple I imagine throwing on with my favourite jeans and boots for country walks, a pub lunch, or just an afternoon of pottering in the garden. That is, if I get to wear it - Clifton is a completely unisex design that can be worn fitted or oversize. So your husband, brother, dad… are sure to want one too! 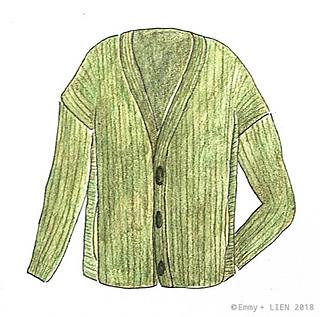 This cardigan hits just above the hip and features drop shoulders, tapered sleeves, a flat v-neck collar, all-over ribbed texture, vertical afterthought pockets, and contrast side panels. finished bust circumference 86 (96, 106, 116, 126, 136, 146, 156) cm / 34 (38, 42, 46, 52, 56, 60, 64)”, buttoned up. 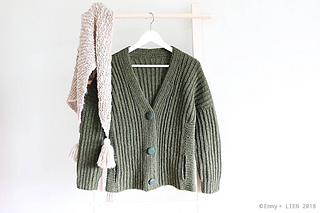 Cardigan can be worn with 0-10 cm / 0-4” positive ease, depending on desired fit. Shown in size 96cm/38” with 0cm/0” and 10cm/4” positive ease. Thanks to its innovative construction, Clifton can be worked almost completely seamlessly (with minimal seaming to close sleeves at the end) or in pieces and seamed. Which to choose is entirely down to personal preference - do you hate seaming, or do you prefer to work on smaller, easy-to-carry pieces and assemble at the end? In either case the body is worked lengthways from lower hem to lower hem (i.e. Front and Back at the same time), starting on one side, splitting to work the back of the neck, and then adding stitches again to work the other side. 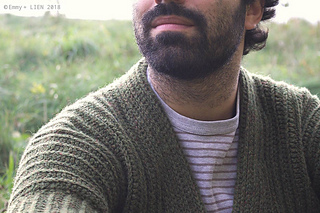 The collar and drop shoulders are worked directly into the body edges and shaped with short rows. 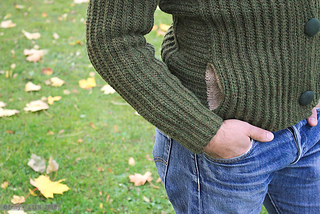 The sleeves and sides can then also be worked directly into the selvedge edges, or worked separately and seamed. A gap is left in the sides for the pockets, which are worked into edges of the gap by picking up stitches or worked separately and sewn on. Clear step-by-step diagrams explaining construction and seaming are included in the pattern. Note: this yarn blooms and relaxes beautifully after soaking, and so must be blocked before wearing. 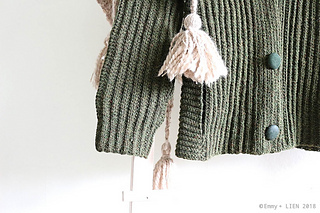 Due to the nature of crochet stitches this cardigan will feel more like an aran-weight garment. If substituting yarn it is advisable, therefore, not to use anything heavier than a DK. 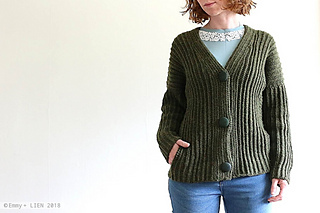 A robust, non-superwash sheep’s wool is ideal for creating a hard-wearing garment that will keep its shape, while an alpaca (blend) will result in something soft and “drapey”. Note: All swatches made using larger hook and measured after blocking. Due to the lengthways construction of the garment, it is important to meet both row and stitch gauge. 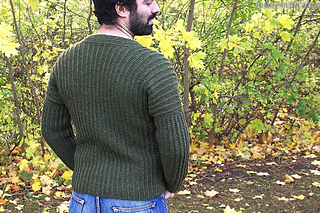 This pattern was created as part of The Fibre Co. Yarn Support Program. My heartfelt thanks goes out to Daphne + the team’s help and enthusiasm. I am also indebted to all my diligent testers and ever-patient editor Elly for their hard work.